Are SA’s Digital Agencies Buying Fake Twitter Followers For Themselves And Their Clients? Having recently been involved in a stats-related online industry debate, 2oceansvibe has taken an interest in a current topic of discussion, to do with creative agencies, opinion leaders and their Twitter accounts. More to the point – the fact that they have allegedly been paying for fake Twitter followers to bolster their (and their clients’) online social media footprints. These were the allegations sent in as a tip by a 2oceansvibe source, who prompted us to do our own research, using an online tool called ‘Fakers.’ Fakers is part of the statuspeople.com website which allows you to check what portion of a Twitter user’s account is fake and what portion is real. You can try it out for yourself here and they explain how the service works here. Two prominent social media voices were suggested to have an above normal amount of fake followers, something that could suggest their use of online services which let’s you buy fake Twitter followers. Once paid, these systems would make use of fake/robot/bot Twitter accounts, which will suddenly start following you, giving the impression that your Twitter account is very popular, with all the new extra followers. 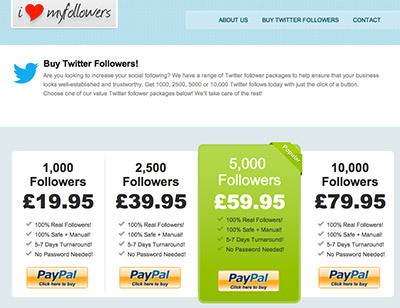 One such service on the internet, ilovemyfollowers.com, let’s you buy 5,000 fake followers for a mere R785. Whilst actual tweets may not be charged for, it is understood that the increased online presence of so-called opinion leaders could bolster their earning potential and overall profile, especially when it comes to endorsements and social media advertising campaigns. Are you looking to increase your social following? 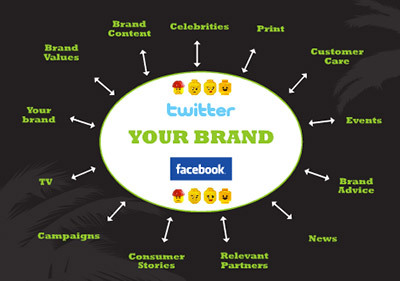 We have a range of Twitter follower packages to help ensure that your business looks well-established and trustworthy. Kirsty promotes the tequila brand Patron in her Twitter bio and also once ran BMW Polo competition promotional tweets through her Twitter feed. A search on Google for the same promotion shows that there was once a similar article on her blog (for BMW Polo) but the story may have been removed, as another story comes up when one clicks through from the Google search results (see here). Thanks so much for your mail and for the opportunity for me to tell the truth on your platform, since I have nothing to hide. Firstly, and most importantly, I have never and never would buy followers. I wouldn’t even know where to look to do so. The concept is foreign to me. On the 12th of March this year, for some unknown reason, I picked up over 3,000 followers. I had absolutely no idea what happened or where they came from. I even tweeted about it out of sheer confusion (see the screen shot attached.) People responded to me and we laughed it off. If I had “bought” these followers, why would I tweet about it? The above photographs and Kirsty’s FHM modeling portfolio can be found here. 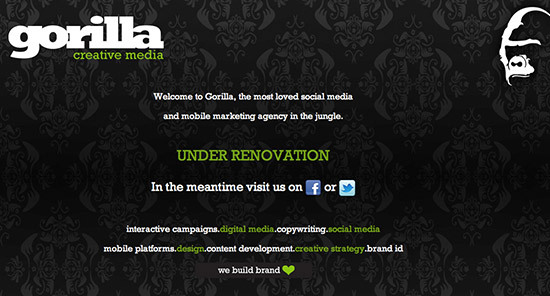 Another Twitter account and digital SA creative agency, Gorilla Creative Media, who use the strap line ‘We Build Brand,” has a faker score of 66% on their twitter account @gorillacm – with only 18% ‘good’ followers. According to Gorilla Creative Media’s Facebook page, their clients include well known brands like Nissan, Jeep, Wonderbra and Top Gear. As we have admitted to on Twitter, @GorillaCM has made the use of a service that promised authentic Twitter followers, sourced via location and interest. This was done as an exercise in understanding how these services work to deliver real fans, and whether in fact these services were worth considering for our clients. It was not as an exercise in buying influence. @GorillaCM has never been used as an influencer, or to promote a brand or product as @GorillaCM. It is a voice for our agency to share content we find interesting or relevant. It was poor judgement running the experiment on our own account and not a testing profile, and that mistake has been addressed with the responsible party. The most unfortunate part of this is the shadow it casts on the work we produce for our clients, and we are today making contact with each of them to share the story with them. We have never purchased followers for any of our client twitter accounts (a check through fakers.statuspeople.com will confirm that for you. Every client except 1 sits at 10% or below in terms of fake followers, a stat the site professes to be within the norm. We are trying to get to the bottom of the anomaly, and a clean up is being done to remove fake accounts. This is a lesson we have to take on the chin, and learn from. And we have. As the man “responsible for helping brands market themselves at Gorilla Creative Media,” we were interested in Barry Tuck’s thoughts on the matter, which he promptly gave. To start, I’d like to give my personal view on Twitter. For me, Twitter is a fun escape to talk a bit of crap and engage with the tweets of people who interest or entertain me. I have never considered it a way to earn money, but I have looked at ways to grow my following – call it ego. As a result I found a few tools like Tweetbig and Tweetadder, which scour Twitter looking for certain terms and then automatically follow people mentioning them, hoping for a reciprocal follow back. I then used other tools to bulk unfollow a lot of these accounts, but stupidly I never actually bothered to check the kind of accounts I was picking up. There was no intent to misrepresent, I had assumed all the followers were legit. As it turns out, it must have been finding a lot of bots and fake accounts, creating the slanted following I had. Regarding the fake accounts following me, the first time I became aware of this was on Friday (yesterday) afternoon. I was taken completely offguard upon hearing it, as I had no idea what was going on. When I went to check the site in question, I was shocked at the figures. Regarding the question of selling exposure to brands, I don’t actively market my Twitter account to generate revenue, and if anything I am nervous about doing this kind of thing, because I really want to maintain the integrity of my account. That said, I did tweet on behalf of two brands that approached me in my personal capacity earlier this year, and I will be contacting them to explain this situation and resolve any issues they have. In terms of the fake and bot followers I had, once I found out, I immediately embarked on a cleanout and I have blocked over 3500 followers that looked like bots, bringing my following down to 5910. Twitter, sadly, is rife with trash – fakers, bots and countless other automated accounts. What these things do, and who they latch on to, is beyond anyone’s control, and the big lesson I have learned is to pay attention to who follows me from now on. I recommend everyone do the same. I have found a service called Stop Tweet – https://stoptweet.com/ – which I have installed on my account to protect it. It allows a user to set a list of criteria that are ‘Bot-like’, and as an account that meets these criteria follows you, so it sends you an email alerting you. We found a 17-slide Gorilla Creative Media presentation online (see here) which, like most digital agencies, cites the building of Facebook and Twitter communities as one of their core services. 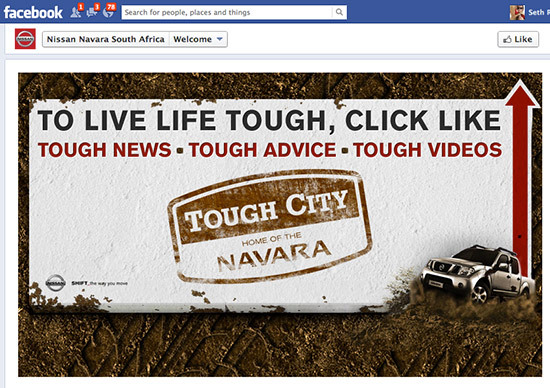 The Nissan logo on Gorilla Creative Media’s client portfolio Facebook page (here), leads you to a Facebook page which has been made for the new Nissan Navara. That page shows links for various related websites and social mediac communities. In particular, we checked out the Nissan Navara Twitter page which sports over 2,500 Twitter followers. According to this fake spotter service, 45% of those followers are ‘fake’ followers. Most creative agencies produce reporting to their clients during and after campaigns, to show how the campaign has performed. This would almost always feature screenshots of Twitter retweets and number of Twitter followers. Much like the industry’s obsession with ‘likes’ on Facebook, an increase in Twitter followers is very much a gauge of the success of a campaign these days. 2oceansvibe Radio recently had to deal with the backlash stemming from our stream provider supplying us with incorrect listenership stats, which indirectly gave a big boost to the online radio industry as a whole and allowed us to partner with a new DMMA-approved stream provider. The topic of this article points to something entirely different and suggests that some of SA’s digital agencies are might be using paid online services to plump up their clients’ online profiles. And if this is the case, is it conceivable that those agencies and ‘experts’ were under the impression that these purchased followers would be genuine? Or maybe these fake followers originated in another way. Some form of online virus, perhaps? Barack Obama’s Twitter account has 35% fake followers. But then again, he does have over 18 million followers. Lady Gaga has 33% fake, but is sporting 28 million followers. If anything it certainly is fodder for debate and an opportunity to extend the conversation further. What do you think? Do you place importance on the amount of Twitter followers someone has when you follow them? Are you impressed with your agency if your (or your brand’s) Twitter account receives large amounts of followers? Do you think there is any point in campaigns obsessing over Facebook ‘likes’? On that note, do you know of other people or brands with an abnormally high level of fake followers of 40% or more? Check here and let us know. We checked ours out, we’ve got 20,034 followers, of which 5% are fake. Shortly after this article was published, Gorilla ran full exported insights audits for their clients, and were given the approval of the boards of Unilever, MTN, SAB, Clover and Nissan. Just use http://www.twitteraudit.com/ for a THOROUGH audit which does up to 5,000 twitter followers, rather than just 500 (as their sample). It shows that the suggested fake users quoted above, are pretty accurate anyway. Interesting to see how this impacts the Brand of Nissan Navara in Search. let us not forget about @jamescapetown at 48% fake followers – the freak who goes around temper tantrumming and bullying brands and restaurants (usually the VandA waterfront) into giving him freebies on the basis that he’s ‘highly influential on twitter’ – what a joke! This is so sad, it contradicts everything that Social Media stands for. I was also contacted by these guys last week: http://get-fast-likes.24ex.com. Luckily the insights will never lie, hard one to explain why your entire community comes from some foreign country. The whole process of buying followers on Twitter or likes on Facebook should be shut down but obviously that is impossible. It is all fake advertising. Do you know of a service that does the same thing as for finding out fake Facebook likes? Hey LOL, my comment in no way takes any sides. It just offers factual information about the tool. Regardless of what the site says and despite the fact that a snapshot may offer a degree of insight, it is still not a comprehensive audit. I’m certain we’ll see a premium version of the tool emerge very soon that will allow for an extensive examination. But even then, we’ll need to all draw our own conclusions about the fine line between “inactive,” “fake” and purchased followers. Thanks captain, that’s what I was going for. A snapshot of 5000 will obviously yield a more accurate result, and possibly a comprehensive result on accounts with 5000 or less followers. But that still doesn’t definitively create a correlation between fake, purchased or inactive users. That will be an emotional and presumptuous conclusion. Not scientific. You’re giving me a headache, iDork. Let me explain how Twitter Audit works. They take each of the 5000 sample followers (or less in the case where the individual has less followers) and produce a score per-follower. That score is based on a number of factors that should be obvious to us. For example: a high number of followees and very few followers would score badly. Similarly, if the date of the last tweet was 2009, that would also lower that follower’s score. Once all of these factors have been scored and the sum of them combined, you end up with an overall score for that follower. Logically, there can be false positives. A follower who has tweeted three times, has their last tweeted in 2009, and who followed 1000 people like mad and then disappeared would likely appear to be a fake account to Twitter Audit. But let’s be realistic here: the combination of those three (and other factors) is unlikely to yield many false positives. Those few false positives it does yield are inconsequential, as those aren’t followers that matter – they’re so off-beat or inactive they may as well be fake. There is nothing emotional about the method that Twitter Audit and other sites use. The correlation they establish is based on a measurable, repeatable score on a per-follower basis. Calling the measurement unscientific is a straw man argument, and reminds me of Darren Scott’s attack on Shaun Dewberry when he revealed the NetDynamix numbers to be fraudulent. totally following Kirsty based on this article. Mike D, with regards to your comment on engagement rates – yes, agreed that this is what we should be focussing on for clients/brands. But, the fact is engagement rates will appear lower with a larger following. So if we should be focussing on engagement rates (which we must), we need to have an authentic following. “If a brand wants to fluff their numbers with paid followers or likes” it is essentially a waste of time (and money) as their engagement rate will appear lower! Check @avish_karr account! It is shocking the amount of fake followers he has! Sies! Good point! I am not a fan of Barry – very arrogant, but it seems like 2Oceansvibe is picking a bone with Mr. Tuck. this article is the same as to 2OceansVibe Radio that only have the odd 80 or so listeners. I’m pretty sure even terrestrial radio ‘real’ and magazine stats (listener & distribution) are also skewed. Don’t by media on stats, buy on RESULTS! Shouldn’t this stats app be evaluated properly ? Anyhow, I disagree that people should not be buying followers, but until twitter and other portals clamp down on this bs-activity, ie. purging spammers, bots , etc …there’s nothing that’s going to happen. Regarding whether this tool is that reliable or its algorithm makes any sense – how much free marketing is this app even getting ? How long has this app even been in existence? I find it absurd that nobody is even remotely touching on the advertising industry who makes up half of all their media stats and sells that to their clients as gospel. Nice points… a quick check would say that I have only 1% fake followers however I know that to be too low as I regularly post a string of terms to lure the bots. At the end of the day these numbers mean nothing. The only real harm that can be caused by “fake followers” is if someone is being charged for this reach. That’s ultimately a case of someone being ripped off. So Mandi what you’re saying is that ultimately their marketer will appear to be doing a poor job. So what would the point be then? I see this as a poor advertising model, but on a personal level, this doesn’t make an ounce of difference. I very recently started a new twitter account for a client, and it’s currently on roughly 50 followers. I ran the account through Fakers, and got 4% fake, 13% inactive, 83% good. Seeing as 50 is not so much effort, I checked every follower individually, and *gasp shock horror surprise* every single one of them is a real human being (and a few brands). Does this mean that fakers is fake, or do they have some clause (which I couldn’t find) stating inaccuracy under a certain number of followers? This is an incredible article and sheds a lot of light on some of the people who depend on Twitter and social media. A classic example is this Chris von Ulmenstein and her Whale Cottage twitter handle and related blog. It is totally impossible that this person has almost 24,000 followers as she claims! To verify this, I also used this StatusPeople Fake Scorers website and it was glaringly obvious, she has invested a great deal to increase and “buy” her followers. BUT, she has been caught out and her reputation will be even more damaged. This is a spectacular amount of egg to be splashed on someones face. Would like to hear her side of it and see her try to defend the indefensible.